I have to admit a little "giddiness" when the end of winter is near and spring is right around the corner! 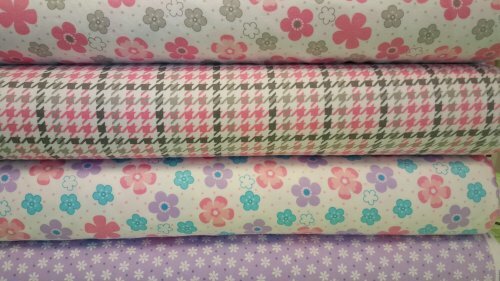 We've taken down the snowflakes and decorated for spring, but more importantly...the springtime fabrics are rolling, rolling, rolling into the shop! And Bunches more! Click here to SHOP NOW! 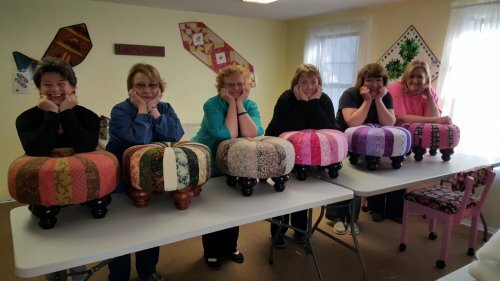 We've had so many successful classes in February, like our Tuffet Class! Interested? Give us a call! Although March is full, we're happy to add an April class! See Deb there in the front? 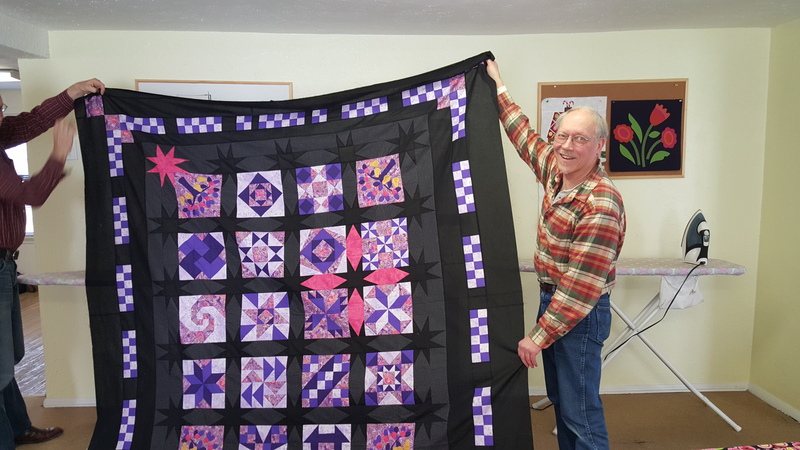 She not only PIECED her quilt, but QUILTED it on our Nolting Longarm during retreat! Want to come join the upstairs fun? CLICK HERE for a list of March classes, including our Friday night PAJAMA PARTY on March 25th, 6-midnight! 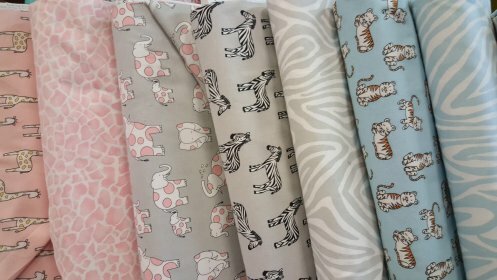 And don't forget to REGISTER HERE to take your long-arm class so you, too can do your quilts START TO FINISH! 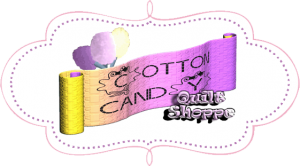 The NW Ohio One Stop Shop Hop in Lima Ohio is March 11, 9-5 and March 12, 9-3 at the Howard Johnson Conference Center in Lima, Ohio...come see us...and a bunch of other quilt shops for an awesome road trip! Due to this show, BLOCK BLAST is rescheduled for Friday, March 4, 10-6, Saturday, March 5, 10-4 and Friday, March 18th, 10-6. 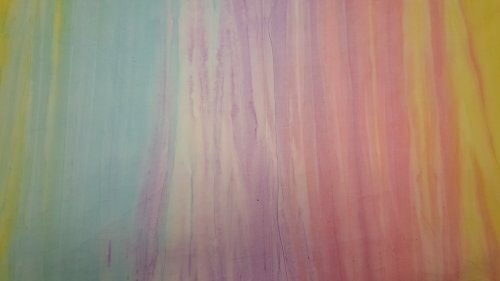 The first Tuesday of the month, March 1st at 5-8pm and the first Friday of the Month, March 4th, 10-6. We will be continuing needle turn applique in March, so if you paid in February, there is no fee to come in March! You can come anytime during the class period. If you haven't started yet, you can still join us! Watch your email next week for a couple of "Mini" classes to be added for March 15th and 22nd. 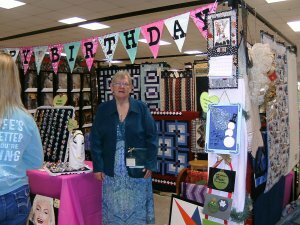 CONGRATULATIONS TO: Nancy Ramer who won January's "Show Us Your Quilts" contest and 30% off of any one item, store wide! 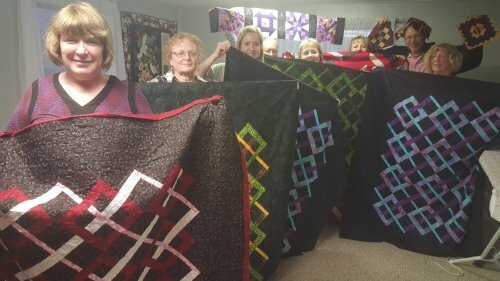 The Muncie Quilters Guild will meet on February 24 at St. Andrews Presbyterian Church at 2700 W. Moore Rd. We will meet at 9:00 this month only for a sew-in to make charity quilts. 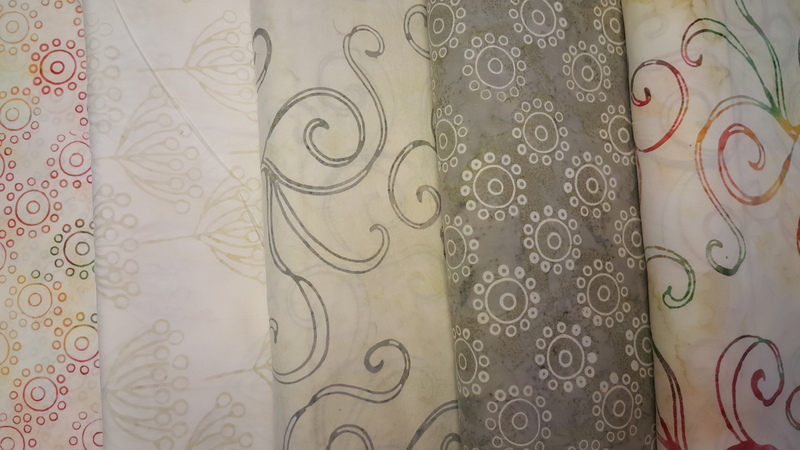 We will be using 2 1/2" strips or precut jelly rolls. We will work until 2:00, so bring a sack lunch. Everyone is welcome. Feeling a little left out? No need to!